Identify stars, planets, galaxies and satellites. Is there a better alternative to The Night Sky? Is The Night Sky really the best app in Teaching Tools category? Will The Night Sky work good on macOS 10.13.4? The Night Sky is a magical app that enables you to identify stars, planets, galaxies, constellations and even satellites. This Mac version of The Night Sky enables you to view the stars, planets, galaxies, constellations and satellites from any location in the world no matter where you are located yourself! Here's an example - you are in Los Angeles but want to know what The Night Sky in Australia looks like. No problem with The Night Sky, just position the globe over Australia, flick to star view and view the Australian sky! This will work anywhere in the world. 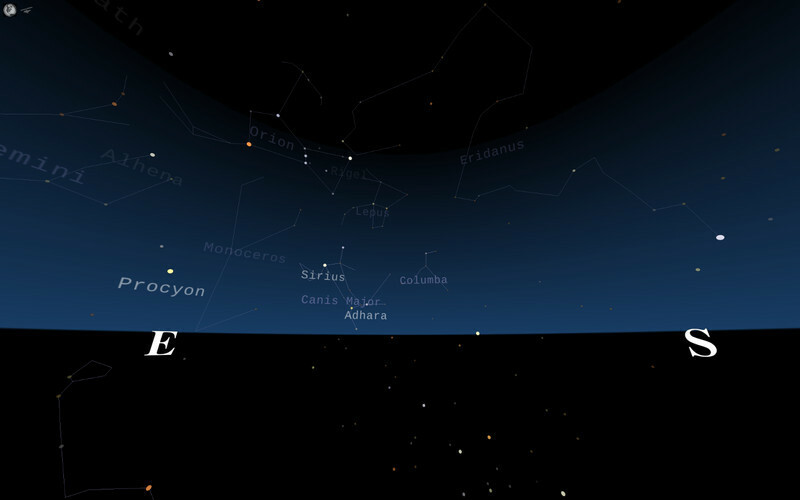 Sky Time Machine Travel into the future or the past and check out the Night Sky for any date! Stargazing Conditions for your local area, or check out the conditions anywhere in the world! Massively upgraded Sky Information Pack with sharing and printing! The Night Sky needs a rating. Be the first to rate this app and get the discussion started! The Night Sky does this by using its high resolution map of the sky and location data that you provide. It then places you in a 3D sphere and allows you to look around it's totally accurate virtual Night Sky! 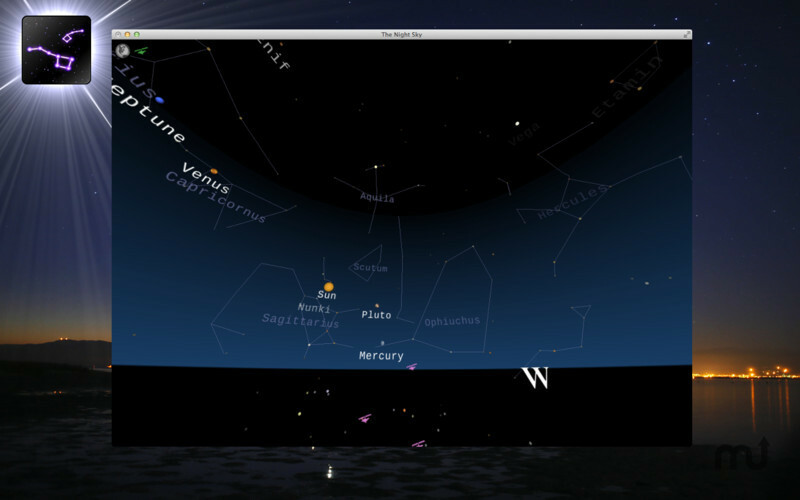 This special Mac edition for OS X Lion allows you to make The Night Sky expand to full screen. A great new feature as everything gets out of the way so it's just you and the sky! So if you want to gaze up at the sky no matter where you are in the world, just load up The Night Sky on your Mac and prepare to be amazed! The Night Sky really is simply magical! 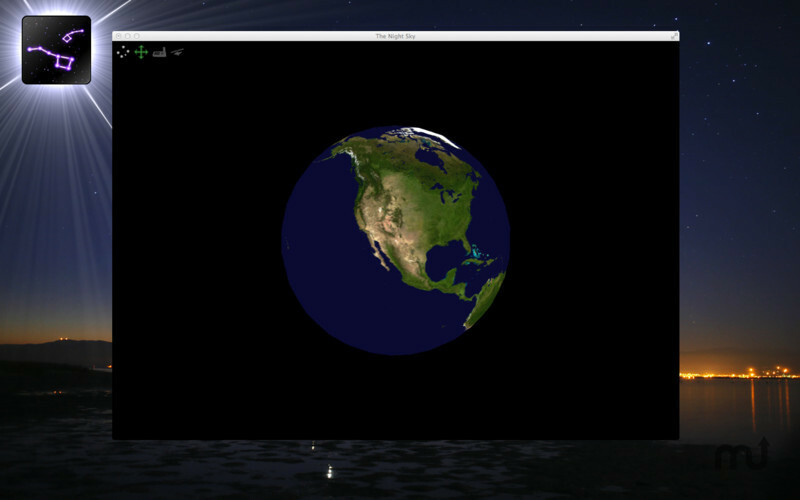 World Traveller Mode experience the Night Sky from anywhere in the world right from your Mac! Night Sky Community Explore Stargazing sites near to you, recommended by other users. Complete OS X sharing integration for social networks share snapshots of the Night Sky! Ability to save Night Sky images to Photos.